Ultra-pure Dihydromyricetin (98%-DHM as BluCetin), a natural flavanoid and antioxdant derived from the legendary Oriental Raisin Tree. 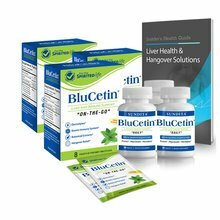 24 BluCetin “On the Go” packs and FREE Insider’s Health Guide: Liver Health and Hangover Solutions. BluCetin Spirited Lifestyle has been added successfully to your wishlist. Have you ever worried about the damage your spirited lifestyle could be having on your body? Without even knowing it, you put stress on your liver each and everyday. Overtime, behavioral choices, and even the environment around you, can have a significant impact on your liver health. This can affect your energy level, physical appearance, and eventually your overall quality of life and even longevity. Here’s a list of everyday items that may negatively impact your liver health. †Based upon traditional use only, not complete scientific data, in a form more concentrated than that which was typically used in traditional teas and other forms. 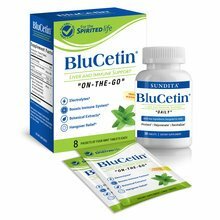 BLUCETIN "ON-THE-GO": Take 2 quick-melt tablets (10 to 30 minutes) before and 2 tablets (10 to 30 minutes) after consuming alcohol, high-fat foods or other potential dietary stressors. Valuable Product - Awesome Customer Service! 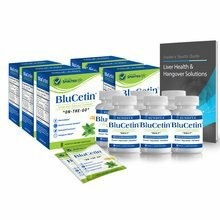 Swear by the Blucetin product. The Lifestyle Packets work very effectively and Annie and Matt are always incredible & remember the returning customers! 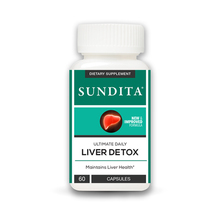 Ultimate Daily Liver Detox View Sale!